A combination of auric cleaning, crystals and Aura-Soma Equilibrium bottles are used to restore the chakras. There are seven major chakras located from the base of spine to the top of the head. Each chakra is a primary energy area, linking physical, spiritual, mental and emotional wellbeing. The balance of all. Emotional and/or physical trauma can often result in the chakras becoming unbalanced. Your chakras sense energy and tell you about the world around you. If you “close” a chakra you do not let that information come in. Tiredness, negativity, lack of confidence, feeling stuck, unhappiness, and depression, are just some of the issues that can be attributed to an imbalance in one or more of the main chakras. Sacral Centre: Sexual issues, anti-social, repressed, no pleasure, depression, selfish, addictions – search to feed sense of pleasure, trying to fill the void and fill the space where love should be. Solar Plexus: Mental slump, feelings of isolation, passive, easily overcome, let others take over, nervousness, lack of self worth, feelings of disharmony, psychic overload, control issues, powerlessness, fear. Heart: Issues giving and receiving love, loss of self-esteem and self love, insecurity, feelings of being unloved, “poor me,” self-doubting, unlovable, no value, rejected, alone, give too much of themselves, lack of purpose. Throat: Communication problems, inability to express feelings and ideas, with-held words, weight gain/loss, silent, over-reacting, stubborn beliefs, cannot find own truth, fear of failure, doesn’t take risks. Third Eye: Self-doubt, forgetfulness, inability to trust instincts, uninspired, hard to visualize, over-sensitive, spaced out, hallucinations, negative images/thoughts, anxiety, unable to bring ideas into action. Crown: Divine homesickness, depression, lack of faith/spirituality, disconnected, lost path, uninspired, feels misunderstood, self-denial, impractical, over-imaginative, not connected with reality. During a 45 minute session, Elizabeth identifies unhealthy chakras, raises the vibrational level of the light body, and brings the energy system back into alignment to create a feeling of harmony and bliss. You remained fully clothed and lie on a cushioned treatment table. A combination of auric cleaning, crystals and Aura-Soma Equilibrium bottles are used to restore the chakras. Each chakra relates to a particular colour and has a corresponding Aura-Soma equilibrium bottle of oil. It is recommended you purchase the equilibrium bottle relating to the main point of imbalance and apply the oil to the area relating specifically to that chakra point. 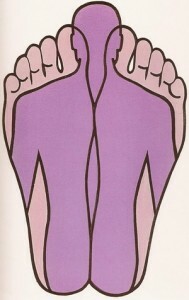 Reflexology is the ancient Chinese art of foot or hand massage. 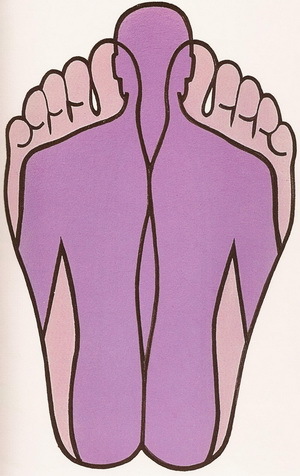 The ever changing characteristics of feet provide valuable clues as to our inner needs and are another way of letting us know when we are out of balance; they can accurately reflect the state of our mind, body and soul. Colour Reflexology incorporates the use of chakra colours on the corresponding reflexes of the feet to fine tune reflexes, balance the endocrine system and much, much more. Colour boosts the effect of the treatment. 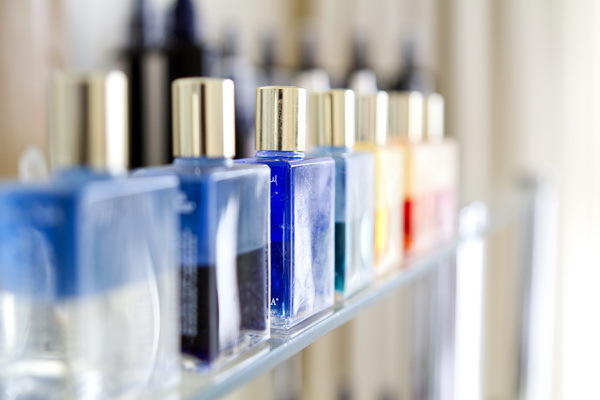 To learn more about colour reflexology and colour therapy, please don’t hesitate to contact us. Pomander Air Conditioners may be used during Chakra balancing. These air conditioners are energetic, space clearing air fresheners, which have the potential to improve and enhance the energies of the spaces we live and work in. Each air conditioner contains its own special blend of herbal extracts, essential oils, bio-dynamically sourced where possible, and crystal energies all harmoniously blended to bring you divine support and harmony in your everyday life. Visit our recommended products page to find out more about Pomander Air Conditioners or contact us to purchase a product.